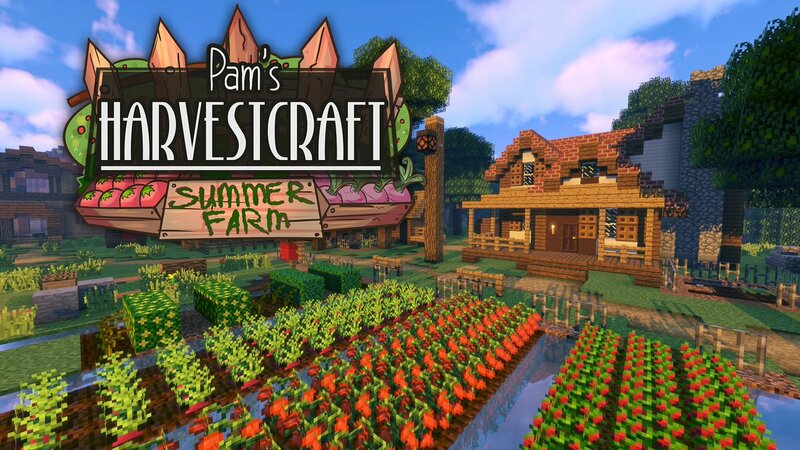 Wanted to take a moment to tell you how amazing you are and how much both my wife and I enjoy Pam's Harvestcraft. No matter what we are playing I find that the mod is almost a necessity to fully enjoy modded Minecraft. Were The glitches ever fixed? because there are some bugs with certain foods. Is there any way I can get a recipe list for 1.7.10? I would suggest getting JEI (Just Enough Inventory) mod, it'll have an side bar anytime you go into inventory and it has recipes for everything that is craftable in the game including items from other mods. JEI (Just Enough Items, not Just Enough Inventory) was released after NEI (Not Enough Items, which I use) as a version with fewer features to make it eaisier to use. That means I should still be able to use NEI insead of JEI for looking at recipies. At least in 1.7.10, NEI is not compatible with recipies from Pam's Harvestcraft. Are the issues on the Github being looked at, or bugfixes aren't a priority at this point? Loving your mod for years now! I've noticed the same issue. I made a very large cactus fruit farm and sold them in the shipping bin to get emeralds then bought the saplings needed for the trees.Maybe this can get you started until there is a proper fix. What's the point of fruit juices now? It takes two apples (eaching giving 2 hunger and 1.5 saturation) to make a apple juice that gives 1 hunger and 3 saturation. A net loss of 3 hunger with the same saturation. It's always better to just eat the apples. first of all: Thank you for this awesome mod! There is so much to discover! Awesome! I'm using "Pam's HarvestCraft 1.12.2t.jar". it seems that this version somehow "break" the breeding function on cows/sheeps. I've searched the config file just in case that i've missed something but can't find anything. Thanks for your hard work! keep it up! PS: I know you do it on your free time. There's a configuration option to disable replacing vanilla foods. Try changing that and see if breeding works for you then. I've been having so much fun with this mod thank you soooo much for making it ! ! ! This mod while it adds a lot, it also breaks breeding for cows and sheep as they wont eat wheat while this is installed. Hello, I seem to be having an issue with the furnace. I can't cook anything from the mod, i.e tea leaves or sweet potatoes. Any idea what might be wrong? I'm having this issue as well. I also cannot craft some of the tools in the mod. Is there a way to allow the market to buy other spawn eggs? In JEI it says it allows for it, but when you purchase the egg for 12xEmeralds you get a broken Minecraft spawn egg that doesn't work.